My friends Neal and Roberto came over from Rome for a visit and I was lucky enough to spend some quality time with them in the kitchen. We got together and spent an evening catching up and come dinnertime, Roberto showed me how to make a classic risotto. It was a real treat! 1. Place the dried mushrooms and warm water into a small saucepan to soak, set aside. 2. In a medium-sized, heavy bottomed pot, heat 1 tablespoon of olive oil over medium heat, then cook the onions until tender (about 5 minutes). 3. Add the arborio rice, cook until the grains are lightly toasted and translucent at the tips. While the rice is toasting, remove the mushrooms from the water, squeezing lightly to remove excess moisture; set aside. Bring the mushroom water to a simmer, then stir in the bouillon. 4. Once the rice is translucent, stir in 1 cup of the white wine, and cook for several minutes to let the alcohol evaporate. 5. When the rice has absorbed almost all the wine, add the mushrooms to the pot and stir in the other 1 cup of white wine. Continue to cook at a simmer, stirring frequently until “al dente,” adding 1/2 cup of the simmering mushroom-bouillon broth each time the liquid is almost absorbed. The rice should be tender and firm to the bite, but not hard. 6. Turn off the heat. Stir in the butter and parmesan cheese. Season to taste with salt and pepper. Cover the pot and allow the risotto to relax for 5 minutes, then serve immediately. 7. Wasn’t that easy? Now go eat! 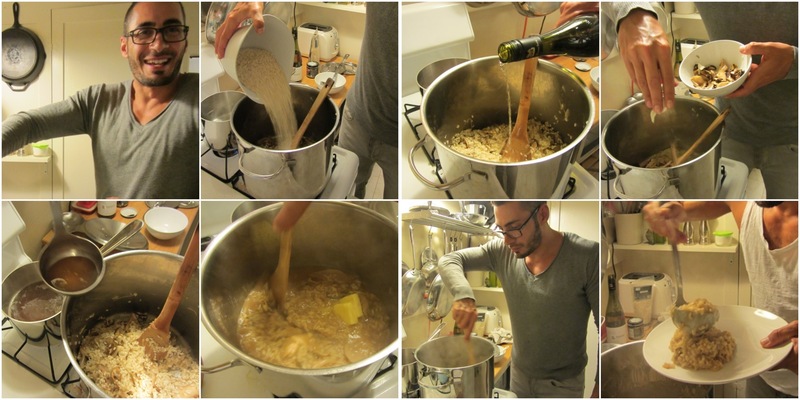 * Adding the liquid in increments and stirring frequently while cooking is what develops the starches in the rice which gives risotto its unique texture. 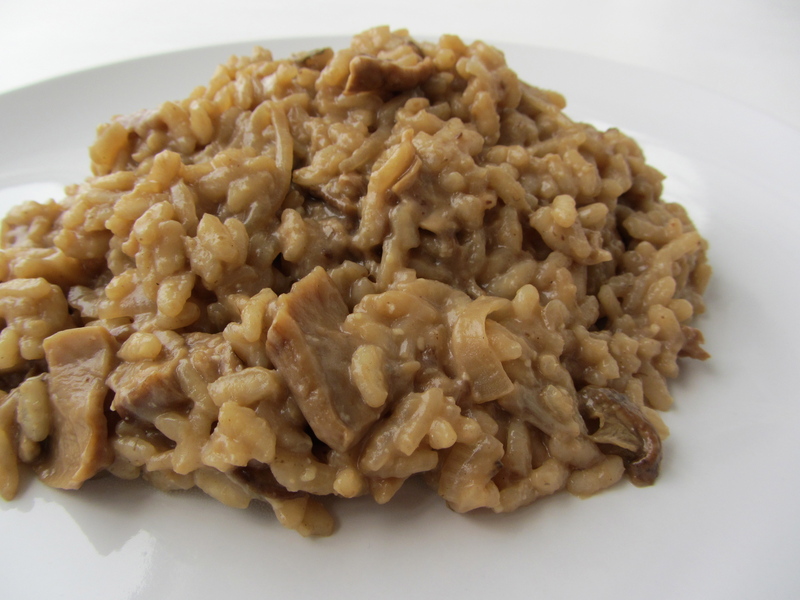 * When serving, the risotto should slump onto the plate; not too stiff, and not too liquid.